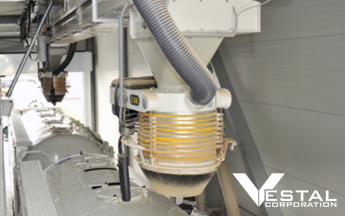 Vestal Corporation is providing Integrated Design Services to expand production of hydrated lime with the addition of a new hydrate line. The hydrate line is located in the existing facility to assist in keeping pace with increased demand for its products. In conjunction with the hydrated lime production expansion, Vestal is also providing Integrated Design Services for a new rail spur, product storage silo with rail loading capability.